Influence. Impact. Network. Value. Growth. 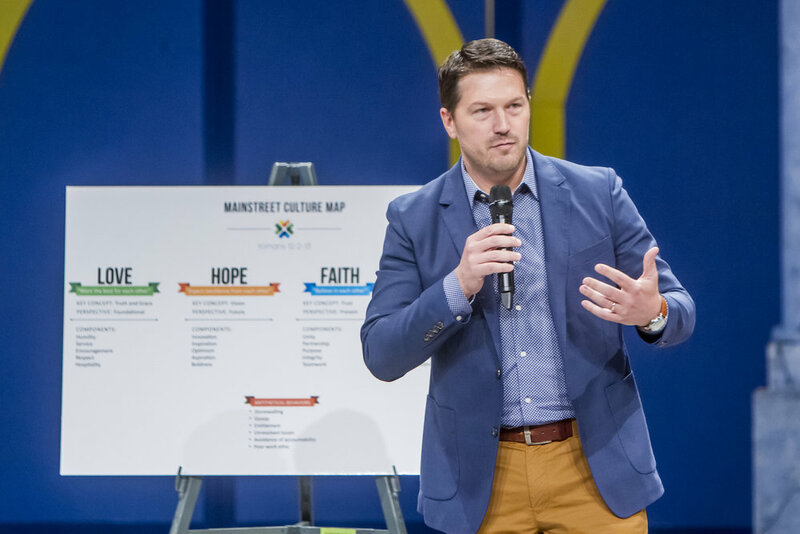 In 2016, over 1,500 leaders and influencers gathered from across the country to sharpen and multiply their influence and impact. This is your one-stop-shop to enjoy exclusive notes, quotes, videos, images, and more from the inaugural EDGE|X Leadership. Six speakers shared on leading with compassion, vision, excellence, intentionality, focus and boldness. The high-energy format allowed attendees to collaborate, connect, and share ideas with new people. This year will be as great as the last. Register now for special benefits. You won't want to miss it! "Boldness is the willingness to look foolish... The process of unlearning our fears... and it's taking the first step before God reveals the second step." "We're here to build kingdoms, not castles. Castles have motes to keep people out. Kingdoms have bridges to bring people in." "Vision is aspirational and seemingly impossible and meant to be informed by a God-sized reality." "I'm amazed by all the things Jesus didn’t do... there were tons of people he didn’t heal. Tons of people he didn’t meet. Tons of places in the world he didn’t go. He did what was essential." "Heroes are no braver than the rest of us, they just stay in the fight 5 minutes longer... Be patient as you're building your culture and build it slowly over time. "Action regret is doing something you wish you hadn’t done. Inaction regret is not doing something you wish you had. You must obey what you hear and do it." "Sometimes the moments that impact us most happen when and with someone we least expect." Clark C. Kellogg receives national notoriety for his work as the lead college basketball studio analyst for CBS Sports. For over two decades he has served as both a game and studio analyst for the network's coverage of the NCAA Men’s Basketball Championships. "The event was amazing, EDGE nailed it! There was great energy and great speakers which are both very key to an excellent event." "I think the event was amazing. The volunteers were friendly and engaging. The speakers rocked the house..."
"Honestly it was perfect. Can't think of any changes." "All of the speakers were stellar - I was quite impressed with the knowledge shared at this event." "To be honest I am not sure how you could possibly top it next year. I had high expectations and was still blown away. Amazing success... especially for an inaugural standalone event. Thank you!" With nearly 1,600 attendees, EDGE|X 2016 sold out completely! With the help of the below-mentioned corporate sponsors, thousands of lives were impacted. An overwhelming 99% of 2016 attendees reported their interest in participating in the 2017 EDGE|X Conference in our annual survey. 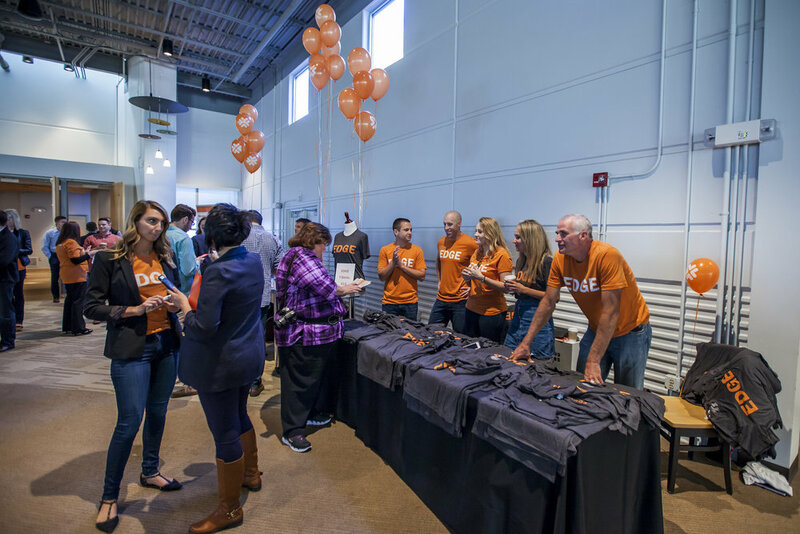 If you’re interested in changing lives by partnering with EDGE Mentoring for the 2017 EDGE|X Conference, please contact us at dave@edgementoring.org.